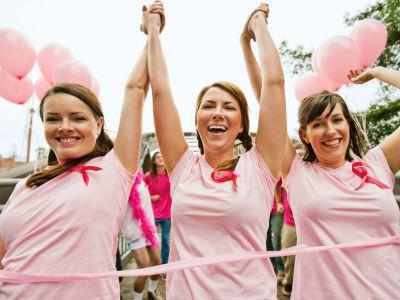 A new study has found probiotics may prove to be a critical factor in preventing breast cancer. Dr Gregor Reid, the professor of microbiology, immunology and surgery at the Western University in Ontario, Canada, said the bacteria having the potential to abet breast cancer are present in the breasts of cancer patients, while beneficial bacteria are more abundant in healthy breasts. American society for microbiology researchers has suggested these findings may ultimately lead to the use of probiotics to prevent cancer. In the study, Reid’s PhD student Camilla Urbaniak obtained breast tissues from 58 women, who were undergoing lumpectomies or mastectomies for either benign (13 women) or cancerous (45 women) tumors as well as from 23 healthy women, who had undergone breast reductions or enhancements. Researchers found that women with breast cancer had elevated levels of Escherichia coli and Staphylococcus epidermidis, two bacteria known to induce double-stranded breaks in DNA in HeLa cells, which are cultured human cells. They say the breaks are prone to errors, which can cause cancer to develop. Health-promoting bacteria Lactobacillus and Streptococcus (lactic acid bacteria) were more abundant in women with healthy breasts, both are anti-carcinogenic. “Besides fighting cancer directly, it might be possible to increase the abundance of beneficial bacteria at the expense of harmful ones, through probiotics,” said Reid. He added antibiotics targeting bacteria that abet cancer might be another option for improving breast cancer management. The study is published in journal of Applied and Environmental Microbiology.